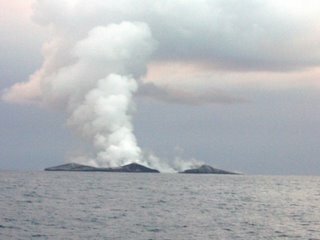 A NEW island has emerged out of the sea between Tonga's volcanic islands of Kao in the Ha'apai Group and Late in the Vava'u Group, according to an eyewitness report. 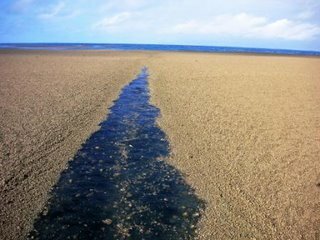 The island is thought to have emerged after a volcanic eruption in early September that has also spewed large amounts of floating pumice into Tongan waters that has been sweeping across Fiji about 350 km to the west south west of where the new island has formed. 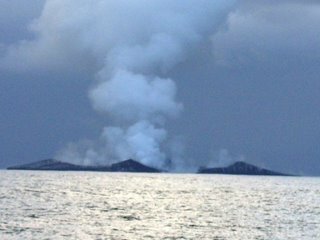 Siaosi Fenukitau, a captain of one of the fishing boats of the Maritime Projects Co. (Tonga) Ltd., confirmed on Saturday, November 4, that about six weeks ago they sighted a new volcanic island near Home Reef, to the South West of Vava'u. "It was bigger than Fotuha'a," he said comparing it to the small raised limestone island in Ha'apai with a population of about 134 people. 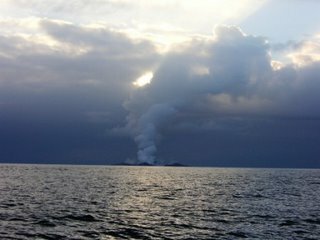 Siaosi said that they tried to make radio contact with Nuku'alofa when they sighted the new island but they could not make contact with any government offices, and since then they had forgotten all about it. Read and see the rest. Sooner rather then latter someone is going to be the first to set foot and explore the new island. Lucy so and so.